Cambium Networks recently introduced the PMP 450b High Gain Subscriber Module. This latest generation 5 GHz Subscriber Module brings enhanced performance with a lower cost of ownership compared to using traditional reflector dishes or connectorized service modules coupled with external antennas. This next-generation device has an updated processor unit, a new Ethernet port and now has wideband support—supporting 4900-5925 MHz in the same SKU-along with IP67 rating for enhanced dependability against environmental elements. 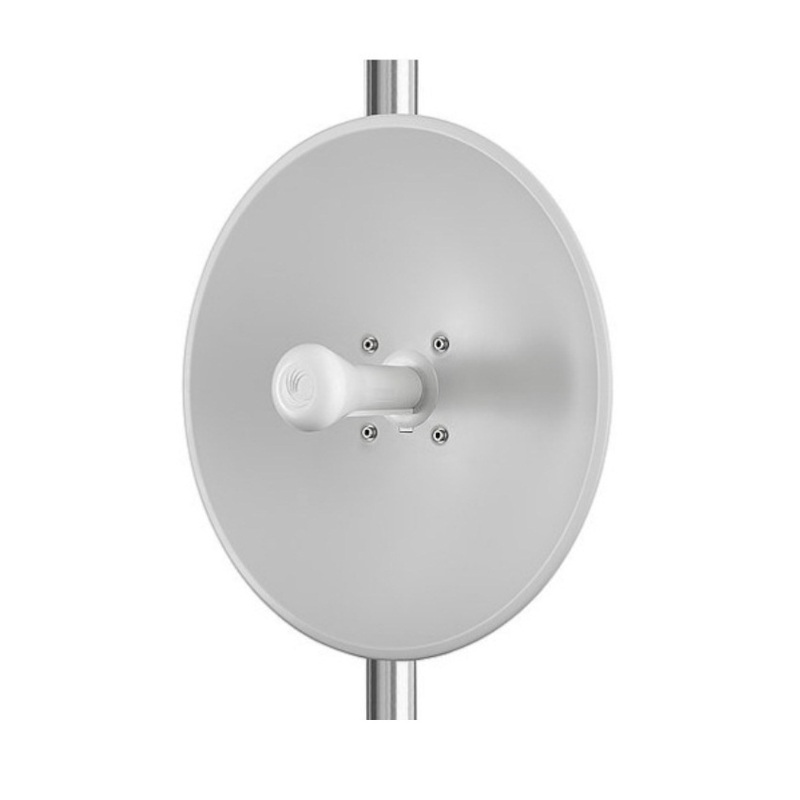 The PMP 450b really simplifies installations with its integrated 24 dBi reflector dish which eliminates the need for an external antenna. Important to note here is that this integration also eliminated the ability to add any other device to the configuration to increase gain. The PMP 450b is capable of up to 300 Mbps aggregate in the 450 MHz channel and the new System on a Chip (SOC) enhances packet processing Power more than 4x over the previous generation 450 Service Module. An ultra-wide band radio supports 4900 MHz to 5925 MHz. Gigabit Ethernet Interface provides the maximum transfer rates to the device. 3.5 mm audio jack allows direct connection of headphones without any adapters. Capable of >250 Mbps aggregate in a 40 MHz channel.